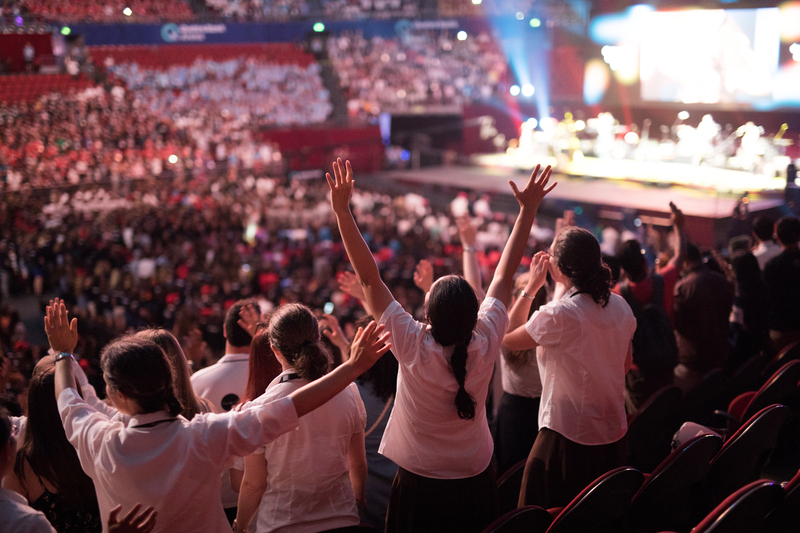 Almost 20,000 young people were urged to set the world on fire with their faith as The Australian Catholic Youth Festival got underway in Sydney today. 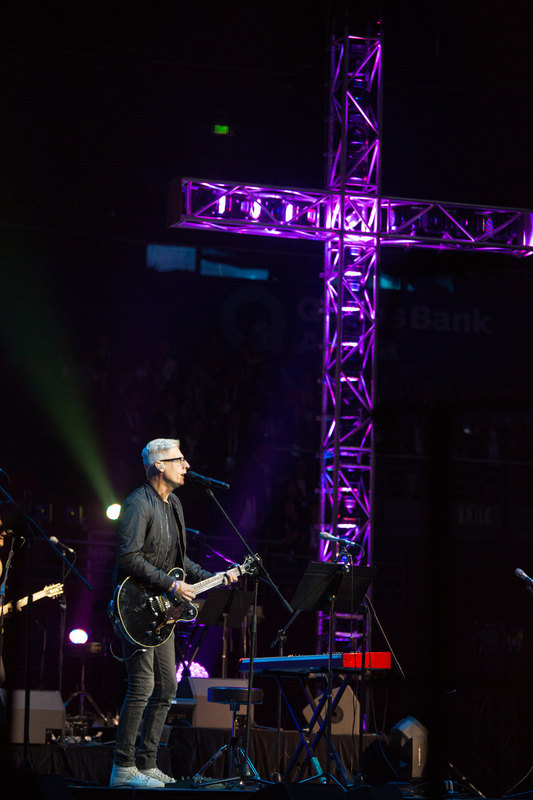 The Festival kicked off with a Welcome to Country, followed by Canadian Catholic music star Matt Maher blasting the stage in praise of Jesus, and Archbishop Anthony Fisher’s opening address. Archbishop Fisher, the Archbishop of Sydney and Bishops’ Delegate for Youth, challenged the young people present to follow the example of Mary and “Say Yes” to the plans God has for their lives and he reminded them of Pope Francis’ call for young people not to live as couch potatoes. “Get up off the couch and you’ll be able to see further as well as do more,” he said. Speaking at a press conference afterwards, Archbishop Fisher said he was enlivened by the faith of the young people on display during the Festival opening. 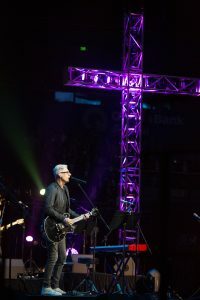 Grammy-nominated Matt Maher, who plays at youth festivals around the world and is in Australia for the third time, said he believes such gatherings help young people to meet their struggle for a sense of identity and belonging. 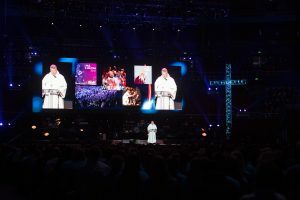 Archbishop Fisher said his hope for the Festival is that the young pilgrims will have an encounter with Jesus and a conversion of heart that will impact their lives. 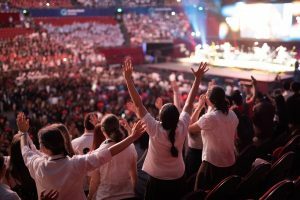 ACYF17 Youth Ambassador Melinda Koutsoukas, a veteran of previous ACYF’s and World Youth Day Madrid, said that Festivals such as this gave young people an opportunity to hear from role models in faith and to develop leadership skills. “It’s also about the relationships, and feeling connected and the friendships you make,” she said. This entry was posted in Uncategorized on December 7, 2017 by ACBC Communications.